The Navarro Air Force Cultured Marble Cremation Urn is distinguished by its octangular rectangle shape, raised beveled top, and elegant dark blue with white veining cultured marble. Cultured marble is much more durable than natural marble, thus making it the ideal material for cremation urns which are meant to last for eternity. A United States Air Force medallion embellishes the front of the urn. This urn proudly memorializes those who have served their country in the Air Force. This urn can be engraved on the top or the back for an additional fee. 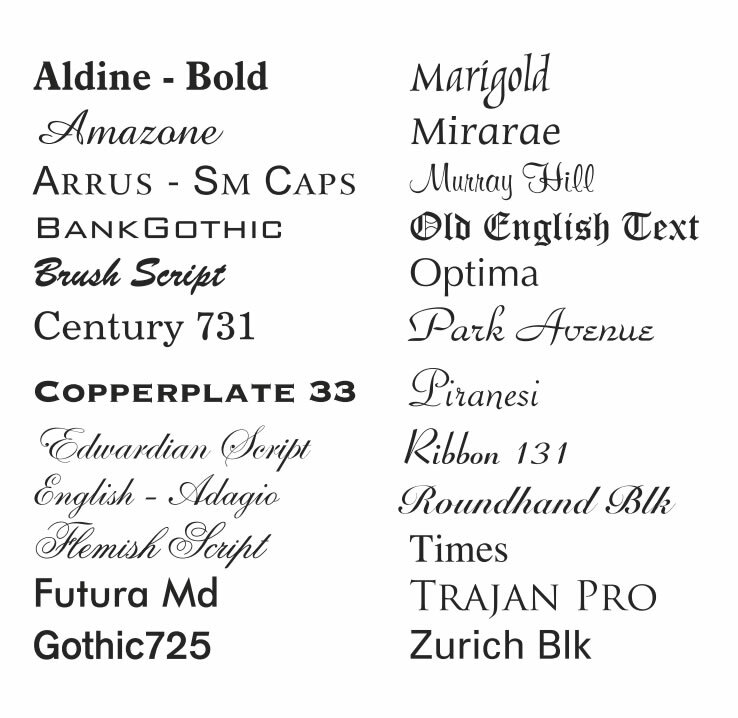 Click on the small list of fonts below the photo of the urn to view the font styles. Please limit engraving to no more than about 36 spaces per line. An engraving proof will be emailed for your approval prior to the urn being engraved. Please allow 2-3 business days for the engraving process, even for expedited orders.